Loudoun County has long been has long been known as horse country in Virginia. There are more horses in this county than any other in the state. 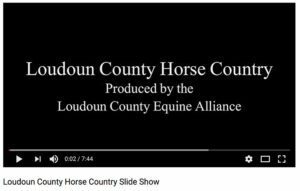 The LCEA is pleased to present this remarkable video produced by Richard Gargagliano providing highlights of the horse industry in Loudoun.